There was a time when we used to shoot videos from our phones and apply a few effects or add emoji to show our creativity. We couldn’t even think of turning a selfie into a sketch and were totally depend on hand-made pictures which were never up to the mark. Slowly and gradually the situation changed and few enthusiastic people introduced some revolutionary apps to edit photo and give them a look of paintings which eventually became famous as well. Prisma is one such app that made the world crazy because of its artistic filters that made each photo look like a canvas or an art piece using Artificial Intelligence. But, there is one constraint that Prisma is only limited to photos as of now and video editing is promised, but we don’t know when it will be coming. But, the technology reforms itself from continuous improvement, converting moving visual images into an art form has also become possible now. Here in this article we will put some light on a recently unveiled app which has taken the video editing to a next level and you can apply Prisma like effects on your videos as well. 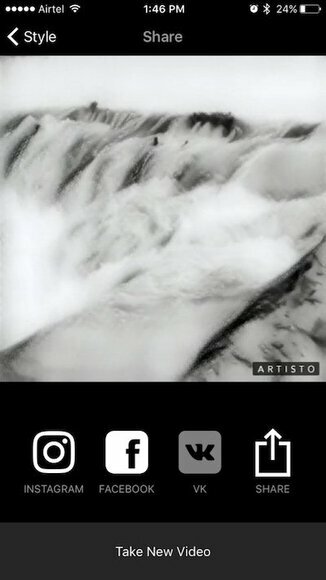 Artisto is a video editor app which is free and includes art filters along with photo effects for any kind of videos, movies, images and animation. 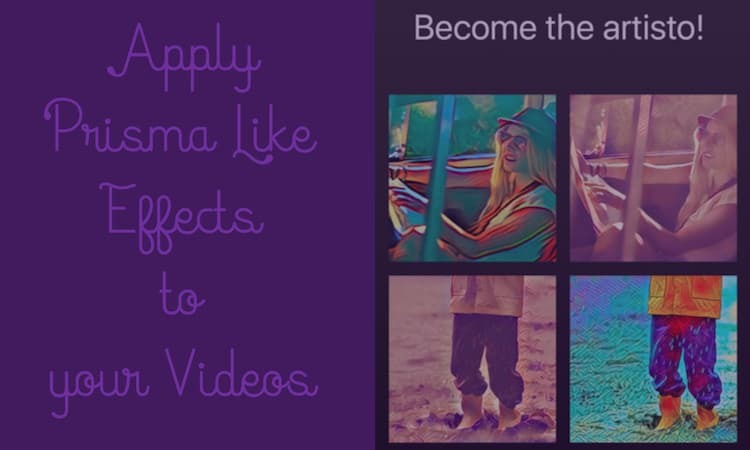 This app looks like highly popular app Prisma that uses artificial intelligence for photo editing through its filters, but Artisto is one step ahead and allows user to convert videos (motion pictures) in a piece of art. With a futuristic approach, this app lets users capture the video and transform it into a smash hit by applying superb effects without any hassle. You can choose from a variety of filters, most of them are unique, but few are similar to Prisma. Making a video is so simple and you can easily share your creation on social networks to get appreciation. It doesn’t take much time for sketching as the frame processing is fast and magnificent. The app supports multiple languages and compatible with iOS 8.0 and requires Android 4.2 or above to work. It is powerful and boasts advanced technology to put up tremendous results. First of all you need to create a video within the app or it will cut 10 seconds videos from your existing videos. 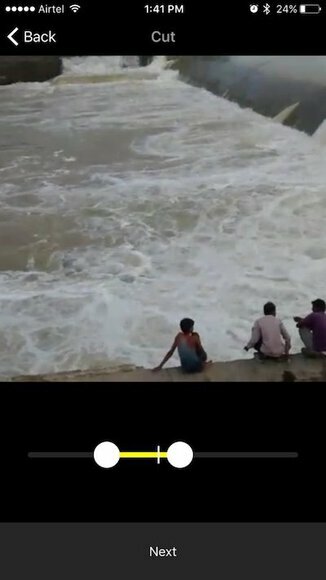 However, you can select your choice of 10 seconds from long video. Apply your creativity using art filters and the photo effects. Please note that it will take some time as it uploads the video to their servers first and show you the end product. You can click on “Style” once again to choose the art form if you don’t like the one you created. If you liked the effect, you can share on Instagram, Facebook, vk. 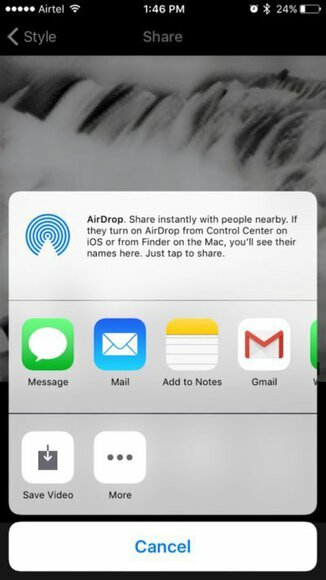 Click on “Share” button to open a new menu in which you can message, email, save the video in your video library, etc. That is all you need to do and this way you can apply Prisma like effects to your video. Check the video we created, isn’t cool? This app has the ability to perform like an intellectual human mind in terms of visual perception. It invokes the artist of the users and allows them to bring the inner beauty of mind in front of others in a superb way. Filters are good enough, but you can only make 10 seconds videos. There is no way to pop in the filter and change an existing app. The developer of this app also needs to understand one thing no one would want to have a company logo on the video, even if they give an option to buy the paid version to get rid of the logo, people will go for it. 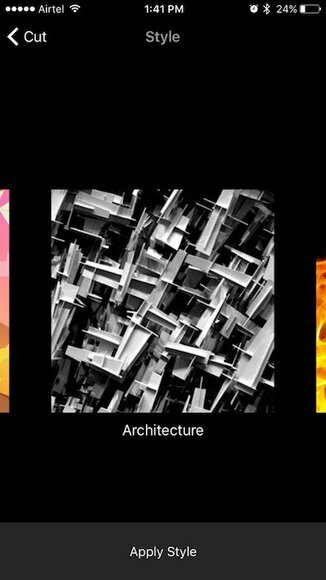 It would be fascinating to see how Prisma retains its users when these new apps are storming the market and have new functionality to enhance the AI photo filtering experience. Though, as per some speculations Prisma is also going to launch its video editing mode in the near future which is now seems essential.